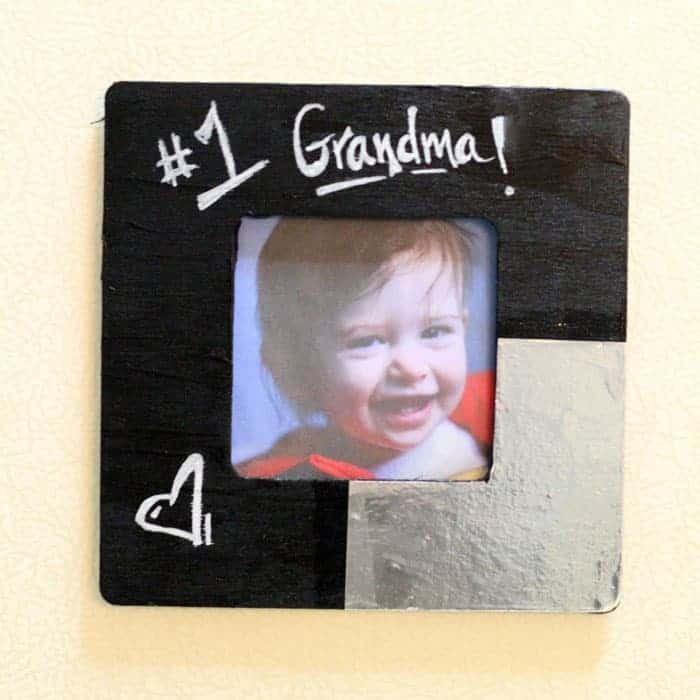 I’d like to share some ways to entertain your Grandkids with some DIY photo gifts and crafts. These projects will be fun and will likely impress their parents, too! 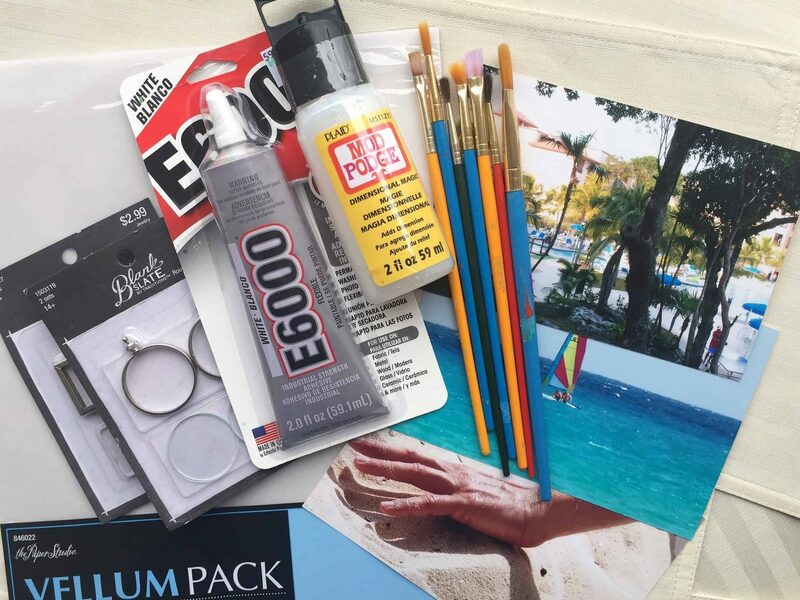 Making DIY photo gifts and crafts and just hanging out with your Grandkids. What fun it can be for both of you! Making an effort to do memorable things with them will definitely pay off. One day they will look back, think of you and value the time you spent together making memories. If these are being made BY your Grandchild, FOR your Grandchild, help them pick out an appropriate photo. P.S. Use this time to tell your Grandkids some stories about your family and your life! 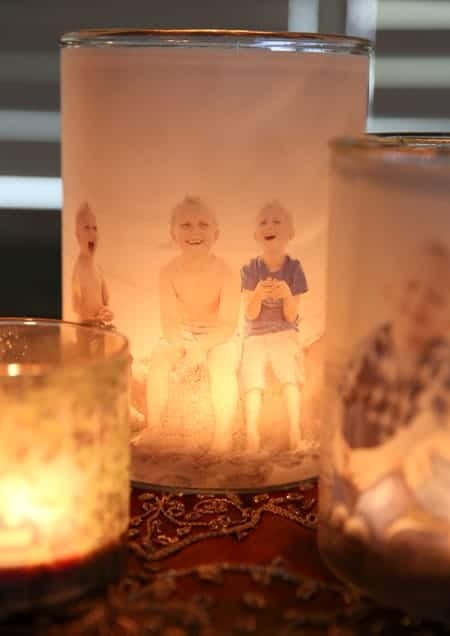 Photo candles can be a fun craft project. Photos of his favorite dinosaur or her favorite Princess. If you are making these for a gift, ask about hobbies, interests, or other significant items to personalize your candle for the recipient. 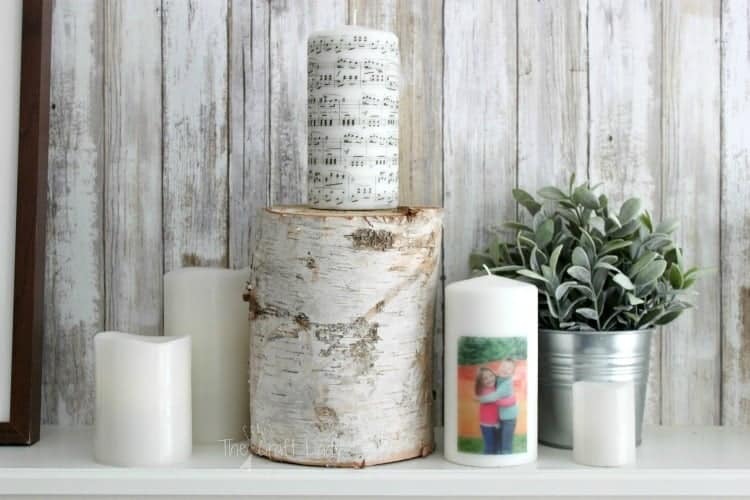 These DIY Image Transfer Candles by The Crazy Craft Lady are made unique through the use of sheet music. Take time to make your personalized DIY photo candle special. It’s Always Autumn shows you how to make these really great candles here. 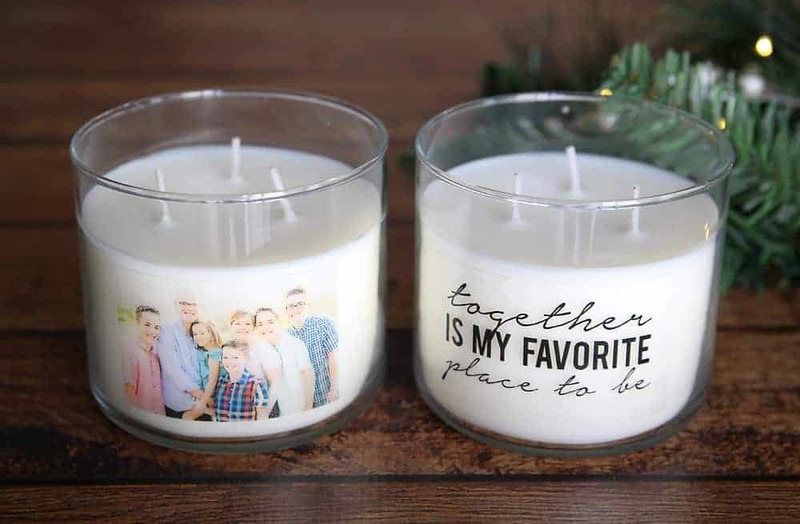 I love the two candle set with the sentiment included with the second candle. What girl doesn’t like jewelry? 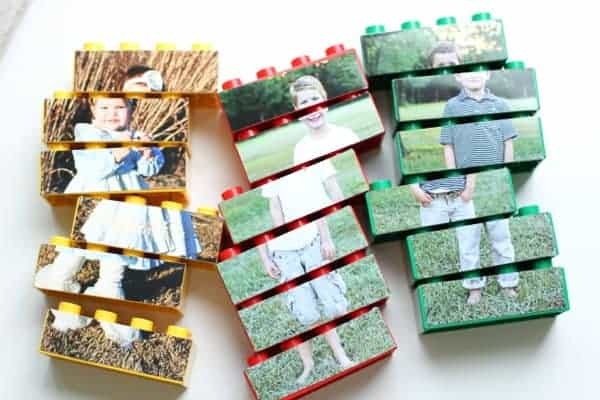 A personalized DIY photo craft in the form of a necklace is fun for the kids and fun to give as gifts! I’d love a necklace with pictures of my Grandkids, a 4-leaf-clover for St. Patrick’s Day, or a pretty flower for spring. Think outside the box and come up with something special to place on your pendant. Gingersnap Crafts has a tutorial showing you how to make your own photo necklace here. Pitter and Glink has a little different take on this personalized photo craft here. Here’s a video tutorial from Beadaholique if you prefer to watch instead of reading the directions. 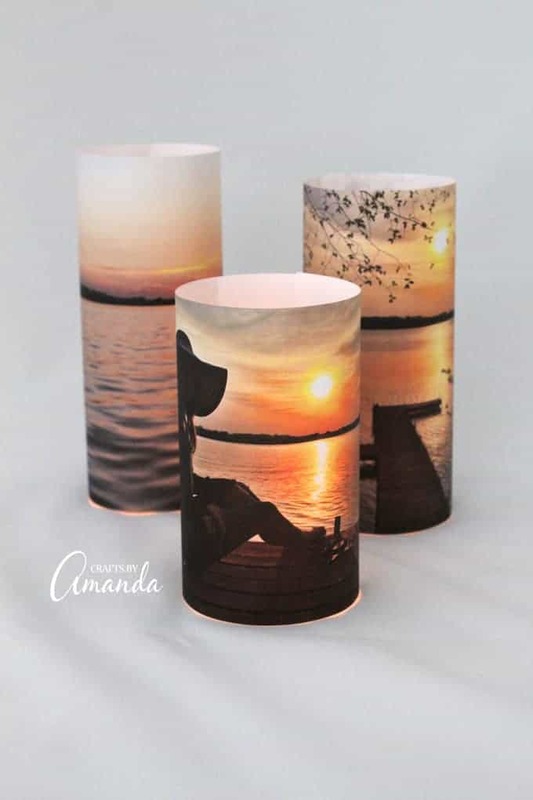 Luminaries use Vellum paper and LED tea lights to create a personalized photo craft and bring memories, like these of a vacation, into your living room. Relive the memories each time you see the warm glow of this cute candle. Choose a special picture memory to use in this photo luminary. Our Best Bites shows you how to create this personalized DIY photo craft. And here is one you might like from Crafts by Amanda that is a little different. The kids will love this, I promise! Here is a fun way to create a photo puzzle from the I Can Teach My Child blog. They say that laughter is good for you… Imagine the many possibilities, combinations, and silliness that could result! 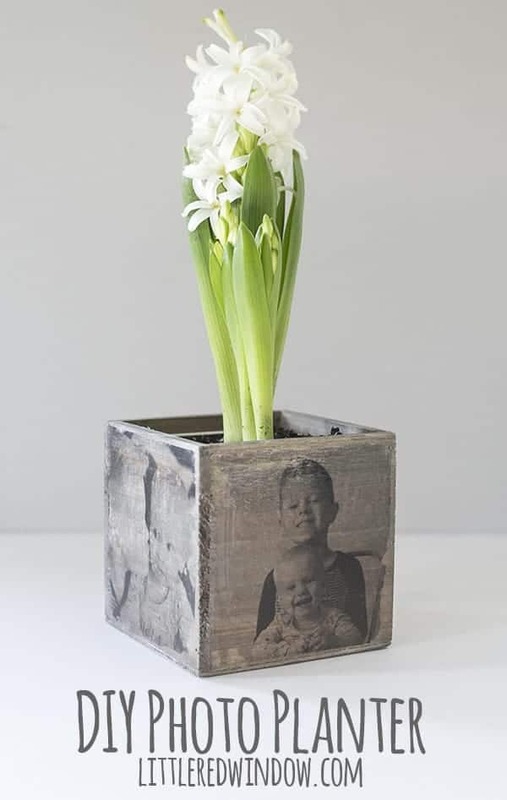 This personalized photo planter is the greatest, don’t you think? 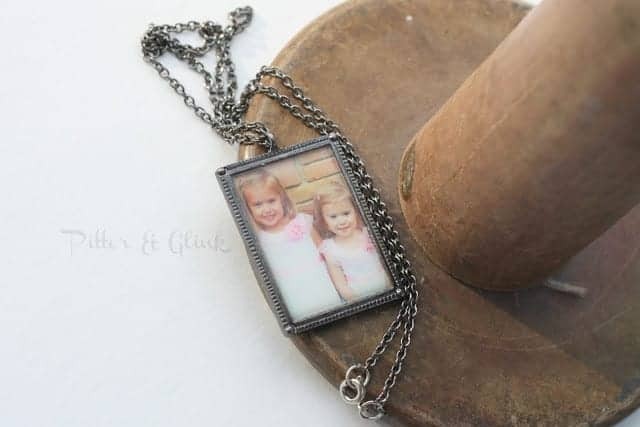 Mom or Grandma would love to get this as a gift from their child or grandchild. Little Red Window has the instructions for this cute DIY photo planter project. Your refrigerator is not complete without this cute DIY Photo Magnet. Moms and Crafters has instructions for putting this together. Your Grandchild can bring a new picture, use it for school photos and write a note as well! Check out these great Personalized Photo craft refrigerator magnets from It Happens in a Blink. Speaking of magnets, these may not be personalized, but they were so cute, I couldn’t resist including them in this post. Personalized photo coasters. These are a must-have! 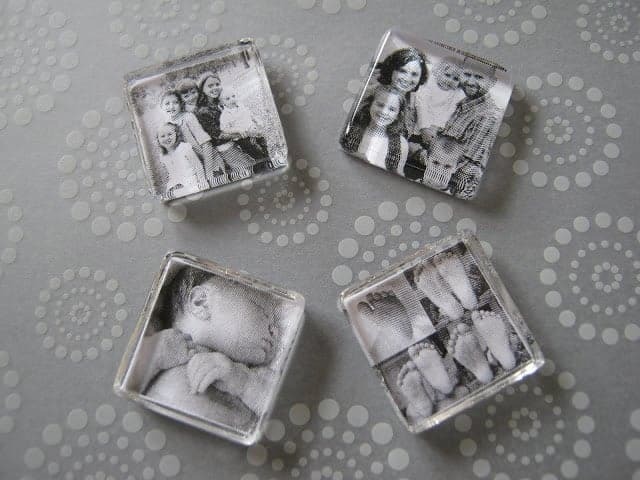 Personalize them with your own photos to keep or give as gifts. Mom or Grandma would love these, am i right? Find the directions at Dark Room and Dearly. Ok, I saved one of my favorites for the end. 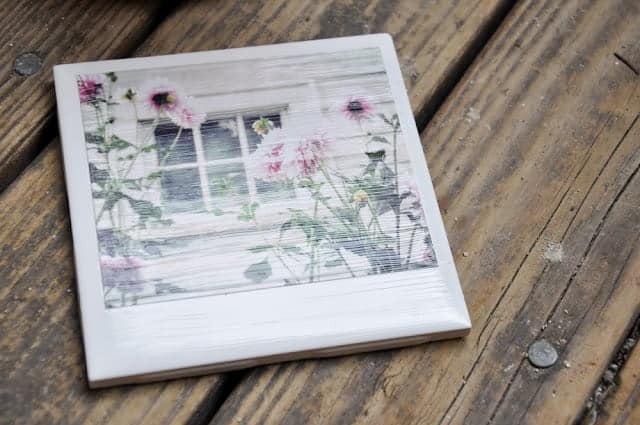 These good-looking coasters were made from Dollar Tree napkins! There are so many patterns to choose from, there will surely be one that strikes your fancy! How about a dinosaur, a kitten, an old car and butterflies? That would be perfect when our Grandkids come to visit! If you’re looking for other ways to have fun with your Grandkids, you’d love our list of 50+ Activities for Grandparents and Grandkids. You can get that here for FREE! Keep Passing Down the Love! I’ve never thought of adding photos to candles. Those would be wonderful as centerpieces at an event!